With no added sugar and barely any cooking time, these fig delights are an easy sweet treat. Start by blending figs in a food processor. When they become a sticky paste, add to a bowl with crumbled chestnuts, chopped nuts and orange zest. Mix by hand, ensuring fig paste has been broken up and nuts are mixed through more or less evenly. 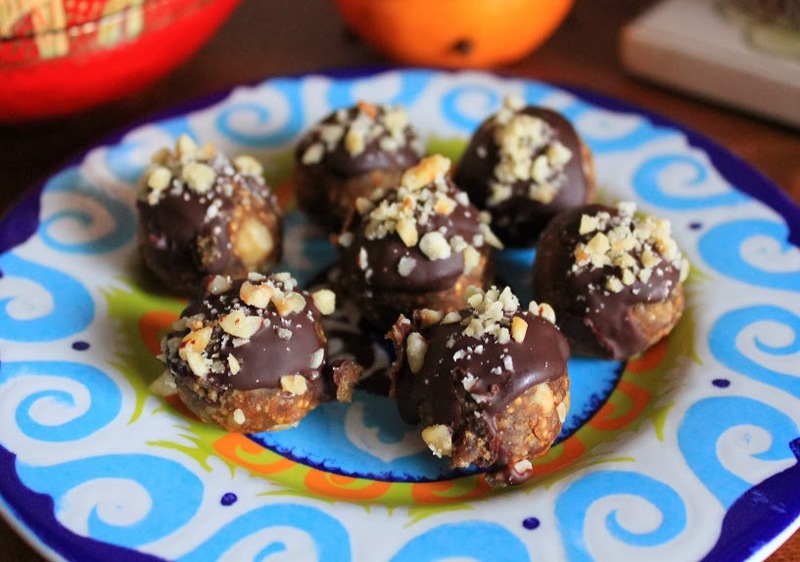 Melt chocolate in a bowl over simmering water and drizzle onto fig balls. I decorated mine with more chopped nuts, but you could sprinkle with cinnamon or leave plain. Place into fridge to allow chocolate to set and fig mixture to firm up.